I love that Murray is a "friendly older gentleman". Tut tut tut! 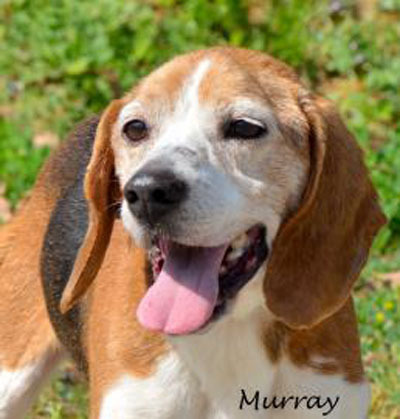 Murray is a 23 pound,8 year old, male beagle mix who came with a group of dogs from a shelter in Virginia. He's a friendly older gentleman who loves his belly rubs! Murray is eligible for ur Seniors for Seniors program where eligible adopters, age 60 or more, can adopt pets, age 6 or older, without paying an adpotion fee. If you are looking for a sweet boy who needs a place to retire, please come visit Murray at our Fairport location.